There was unusual trading activity leading up to oOh!media (ASX:OML) delivering its result for the six months to June 30, 2016. The result was announced on Tuesday, but on the Monday the company’s shares plunged from the previous day’s close of $5.58 to trade as low as $4.41 before closing at $4.70. It would appear that the market was preparing itself for a disappointing result, but it was quite the reverse with analysts at Macquarie Wealth Management noting the performance was generally ahead of its expectations, featuring EBITDA of $26.8 million, a year-on-year increase of 32.7%. The company’s shares responded accordingly hitting a high of $5.20 before closing at $5.12. However, there was some slight weakness yesterday as the company’s shares closed at $4.90. Based on Macquarie’s commentary this could be a buying opportunity. The broker reinforced its positive take on the result by increasing the share price target from $5.30 to $5.45 while maintaining an outperform recommendation. The past performance oOh!media is no guarantee of future performance and this data should not be used as the basis for an investment decision. At the same time it should be noted that broker recommendations, forecasts and target prices are projections that may not be achieved. Macquarie indicated that recent share price volatility could be attributed to Monday’s guidance downgrade by APN Outdoor (ASX:APO). It is of the view that this has cast some doubt over the broader out-of-home advertising market. 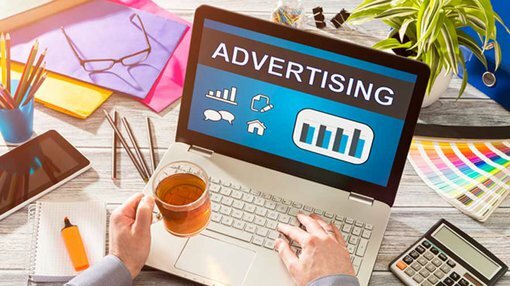 Macquarie is of the view that OML is better positioned to handle a short advertising market than other out-of-home players given it has the most extensive digital portfolio and appears to have maintained solid momentum despite recent industry headwinds. On that note the broker highlighted that OML is increasing its anticipated capital expenditure in the digital area by $10 million to a range between $20 million and $35 million. Part of the additional investment will relate to new contract wins including the T4 terminal at Melbourne Airport and the Brisbane Virgin Australia Domestic Terminal. In providing guidance, Chief Executive Brendon Cook said, “OML continues to be well-placed to capitalise on growth opportunities with net debt to EBITDA at 1.7 times, well within the financial covenants of its debt facility agreements”. He highlighted that this provides headroom to invest for further growth, in keeping with the decision to allocate increased funds for capital expenditure. Cook said he expected the company to achieve EBITDA in a range between $68 million and $72 million for the 12 months to December 31, 2016. Macquarie sees second half guidance as conservative, and the broker is forecasting full-year EBITDA of $74.6 million.